The Birth Survey: Nationwide Results are IN! The Coalition for Improving Maternity Services (CIMS), a group working toward transparency in maternity care, today announced that consumer survey results rating health care providers and birth facilities are now available online at www.thebirthsurvey.com. Have you given birth within the last three years? The Birth Survey is a free, user-friendly website where mothers who have given birth within the last three years can provide detailed, anonymous feedback about their experiences. The survey questions are based upon the Mother Friendly Childbirth Initiative, an evidence-based model of high quality maternity care. Additionally, the interpersonal and communication questions are based upon an AHRQ survey, which represents a well known set of questions currently used by doctors and hospitals. More than 17,500 ratings for providers and 6,500 ratings for facilities have been submitted since the national launch six months ago. Now, parents-to-be can retrieve the pooled reporting on local providers and facilities. The website ratings pages also provide links to hospital and birth center obstetric intervention rates, such as c-section, for facilities in nine states. 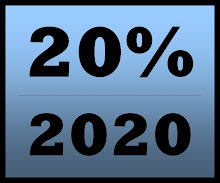 This information is part of The Birth Survey’s nationwide campaign to make facility-level intervention data available to the public. This kind of public reporting supports informed choice and fosters transparency, which improves outcomes. Consistent with a new series of government Public Service announcements that encourage consumers to get involved in their health care and ask questions of their care providers, The Birth Survey offers links to information on how to choose and evaluate providers, including the “CIMS Ten Questions to Ask.” By offering more than a conventional five-star rating, The Birth Survey offers information that is vital for women to make more informed decisions. The Birth Survey is an ongoing project. In the summer of 2009, free-text responses will be displayed on the website, and in 2010, detailed information on patients’ experiences with prenatal, labor, birth and postpartum care will be added to the website as searchable custom reports.For more about The Birth Survey, to view intervention data for each state, the survey results, or to take the survey, log on to www.thebirthsurvey.com. About the Transparency in Maternity Care Project: The Coalition for Improving Maternity Services (CIMS) through the Transparency in Maternity Care Project developed The Birth Survey so families can share information, learn about the choices and birth experiences of others, and view data on hospital and birth center intervention rates and practices. It is also designed to help providers and facilities improve the quality and transparency of their care. At the heart of the project is an on-going online consumer survey that asks women to provide feedback about their pregnancy and birth care specific to the particular doctor, midwife, hospital or birth center that served them. Responses are made available online to other women in their community who are deciding where and with whom to birth. Paired with this experiential data, are official statistics from state departments- of-health listing obstetrical intervention rates at the facility level. 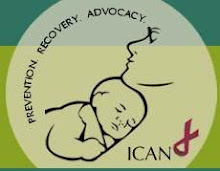 About the Coalition for Improving Maternity Services: The Coalition for Improving Maternity Services (CIMS) is a coalition of individuals and national organizations with concern for the care and well-being of mothers, babies, and families. Our mission is to promote a wellness model of maternity care that will improve birth outcomes and substantially reduce costs. This evidence-based mother-, baby-, and family-friendly model focuses on prevention and wellness as the alternatives to high-cost screening, diagnosis, and treatment programs. For more information, log on to www.motherfriendly.org. 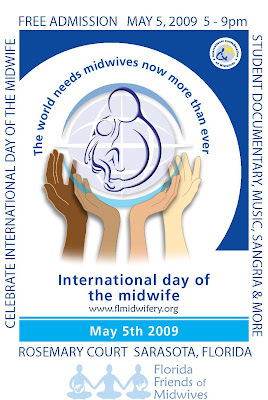 April 29, 2009 (Sarasota, FL) -- May 5th is the International Day of the Midwife, a day set aside in 1991 by the International Confederation of Midwives and observed in over 50 nations worldwide. In 1992, Florida Governor Lawton Chiles joined in this celebration by adding Florida to the growing list of states and countries that observe this day. 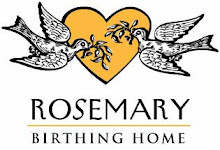 In honor of this day, the Sarasota chapter of Florida Friends of Midwives, a non-profit grassroots organization dedicated to promoting and supporting the practice of midwifery in Florida, is hosting a celebration at Sarasota’s Rosemary Court. The event will feature a documentary from student midwife Kati Triese, chronicling the history of western midwifery, as well as a special Cinco de Mayo tribute to the Mexican midwives who recently visited our community. Local restaurants Two Senoritas and Sangria Tapas Bar are generously donating Mexican fare. Admission is free to the public and local media is welcome and invited to attend. Midwives have a long and valued history in Florida. The state first passed legislation to license direct-entry midwives in 1931, and the first Certified Nurse Midwife was licensed in Florida in 1970. Florida’s midwives have continued to tirelessly serve the families of Florida and to ensure the continued availability of safe, evidence-based birthing options for Florida’s families. 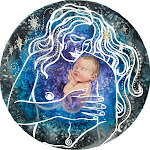 Florida Friends of Midwives is a non-profit grassroots organization dedicated to promoting the Midwives Model of Care and supporting the practice of midwifery in Florida. Florida Friends of Midwives was formed to support midwives who offer safe, cost-effective, evidence based care to Florida's families. For more information, please visit www.flmidwifery.org. Birth Announcement: Born in Sarasota! 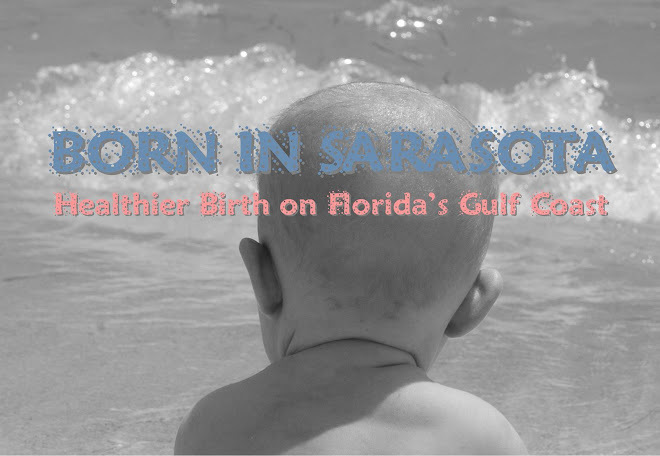 Welcome to Born in Sarasota: Healthier Birth on Florida's Gulf Coast. This is a collective of thoughts, articles, birth announcements, events, and evidence in action supporting healthy, normal childbirth in our community. We are dedicated to promoting choices in mother-friendly maternity care providers and practices, informed consent for our pregnant families, and increased support of normal childbirth. Do you have a birth story or birth photos to share? Please submit them here! Sharing your positive birth experiences will help empower others. I look forward to seeing what grows here!